Seventh Street Books, 9781633883673, 283pp. Acting Police Chief Samuel Craddock investigates the murder of a visiting physician, whose mangled body is found in the woods. When Lewis Wilkins, a physician with a vacation home in Jarrett Creek, is attacked by vicious dogs, and several pet dogs in the area around Jarrett Creek disappear, Police Chief Samuel Craddock suspects that a dog fighting ring is operating in his territory. He has to tread carefully in his investigation, since lawmen who meddle in dog fighting put their lives at risk. The investigation is hampered because Wilkins is not a local. Craddock’s focus on the investigation is thrown off by the appearance of a new woman in his life, as well as his accidental acquisition of a puppy. Digging deeper, Craddock discovers that the public face Wilkins presented was at odds with his private actions. A terrible mistake led to his disgrace as a physician, and far from being a stranger, he has ongoing acquaintances with a number of county residents who play fast and loose with the law. Terry Shames is the author of A Killing at Cotton Hill, The Last Death of Jack Harbin, Dead Broke in Jarrett Creek, A Deadly Affair at Bobtail Ridge, The Necessary Murder of Nonie Blake, and An Unsettling Crime for Samuel Craddock, the first six Samuel Craddock mysteries. She is the coeditor of Fire in the Hills, a book of stories, poems, and photographs about the 1991 Oakland Hills Fire. She grew up in Texas and continues to be fascinated by the convoluted loyalties and betrayals of the small town where her grandfather was the mayor. Terry is a member of the Mystery Writers of America and Sisters in Crime. "A surprisingly brutal yet expertly told tale." "An amazing read. 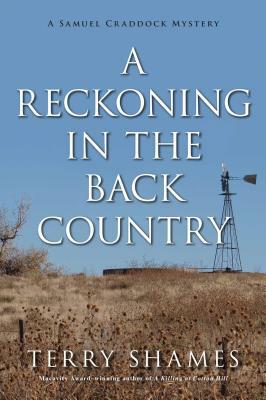 The poetic, literary quality of the writing draws you into a small town and its interesting, secret-carrying residents."